180 degree turn. BulletSim. 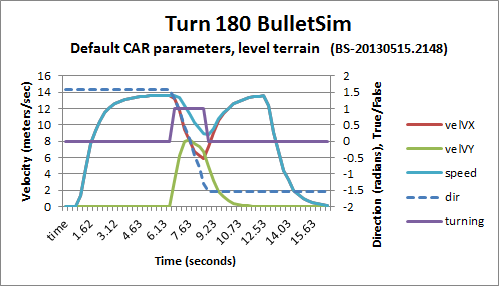 Default VEHICLE_CAR parameters. Level terrain. current 15:27, 24 May 2013 499 × 286 (18 KB) Misterblue (Talk | contribs) 180 degree turn. BulletSim. Default VEHICLE_CAR parameters. Level terrain. This page was last modified on 24 May 2013, at 15:27.